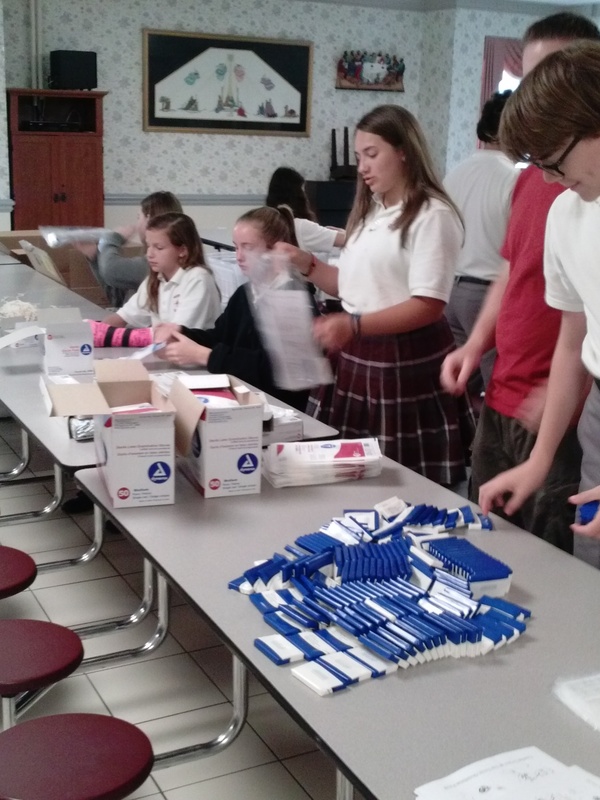 Terra Centre Elementary School’s Girls on the Run program raised funds for and put together 200 clean delivery birthing kits. 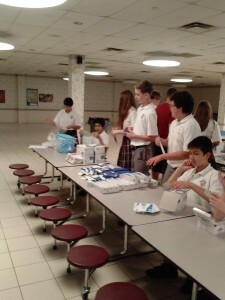 Nativity School recently held a chili cook off where they raised money to make the kits. 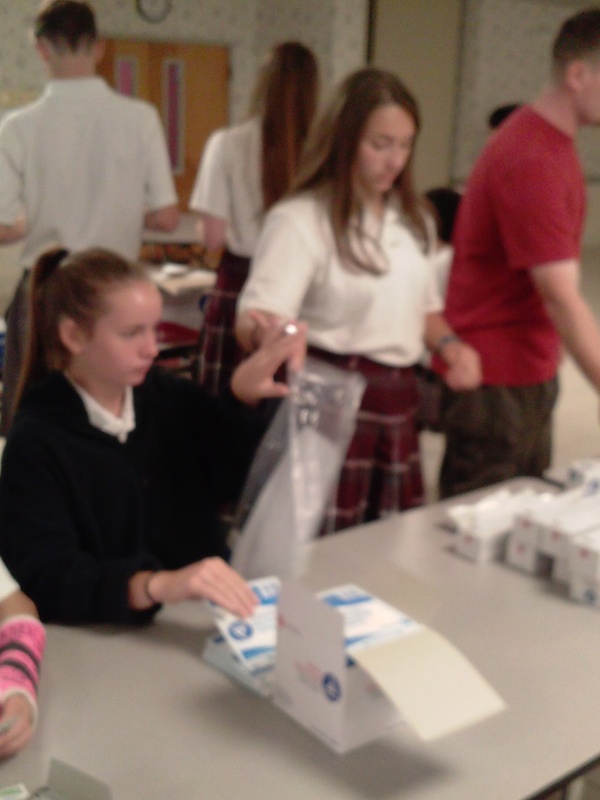 On Sunday, June 28, Dr. Eugene Maklin delivered the 700 birthing kits put together by Nativity parishioners, neighbors, and friends in December. These kits were distributed to the many midwives that work in the Shada slums. 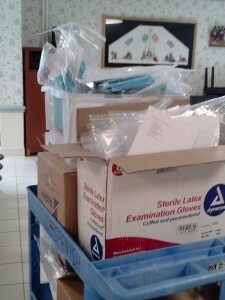 These kits will provide clean and safe deliveries for the women and in who live in this area. These basic kits only cost $2 to make but can make a significant change to these women and their babies. 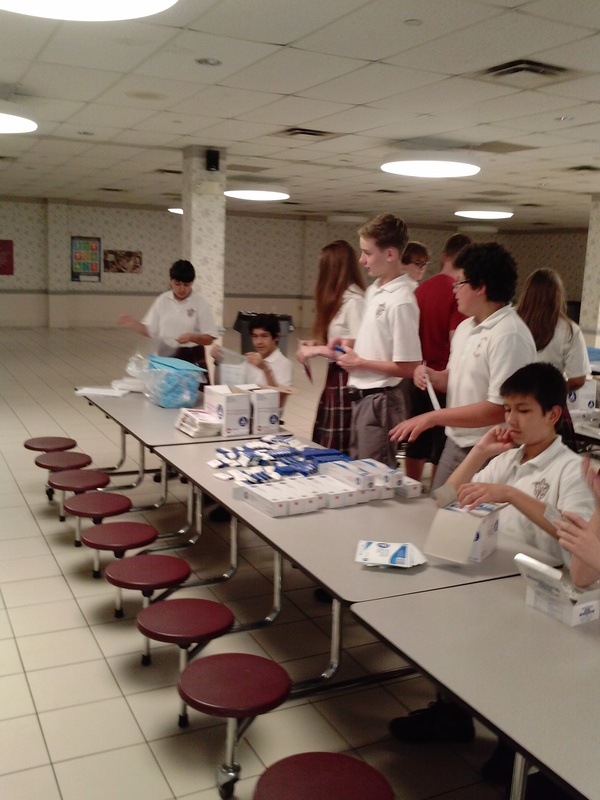 The funds for the kits were generously provided by the Knights of Columbus, Women of Nativity, and a Nativity parishioner. Thank you to all who put the kits together and to Dr. Maklin! 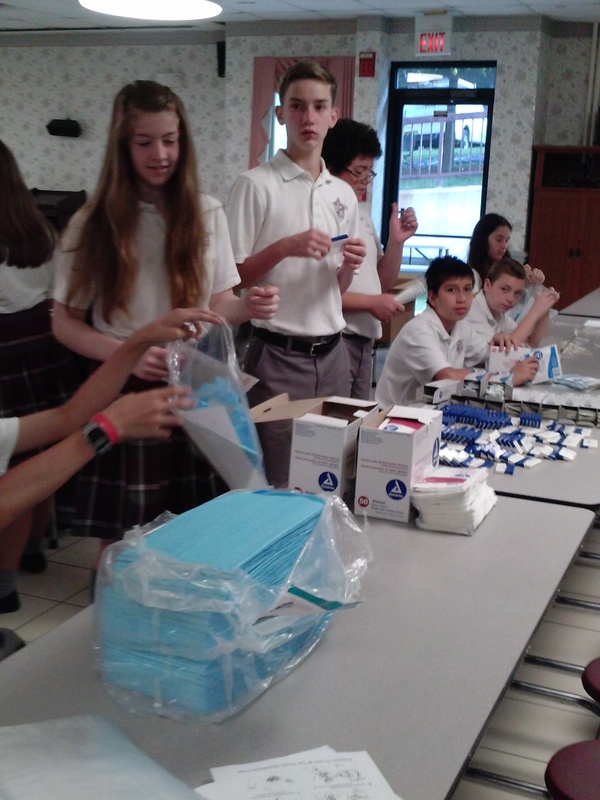 In celebration of their First Holy Communion, two Second Grade CCD classes from Church of the Nativity put together 50 clean delivery birthing kits. 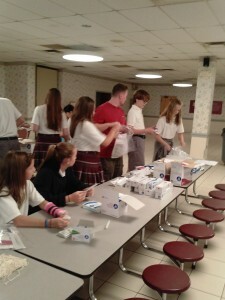 Thank you to their teachers for instilling service at such a young age! Third Hand Birthing Kit Assembly – 200 Kits assembled by Third Hand, a CNU organization. Several Girl Scout Troops raised funds for and put together 300 clean delivery birthing kits. 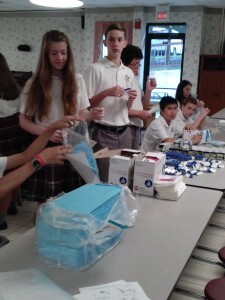 They also sorted over 1,500 diapers by size to help the newborn kit build to be held in August.